"Stephen Hadley's team at Freeths reached a favourable settlement in a long-running multi-party dispute concerning beneficial interests in a multimillion-pound property portfolio." Stephen has over 25 years experience in a wide range of litigation areas including property litigation, trust and probate, mines and minerals, shareholder disputes, pensions and insolvency. After training at Forsyte Kerman in the West End of London, he worked at Booth & Co (now Addelshaws) at Eagle Star Insurance, then Kent Jones and Done in various forms until its merger with Freeths. Early on in his career, he acted on what was then the largest financial fraud in British history. 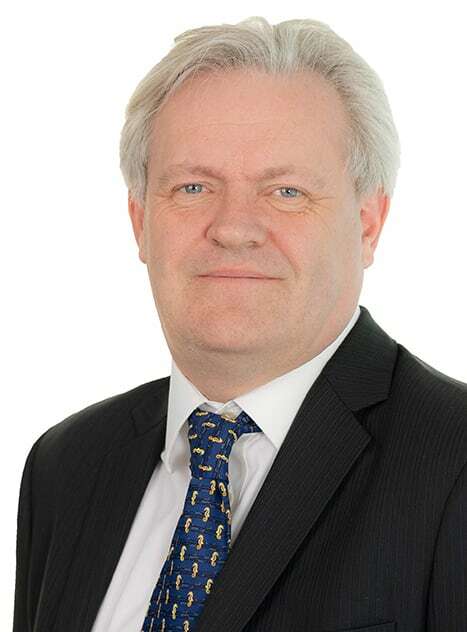 Stephen later spent time in-house at Eagle Star, making claims against negligent solicitors and valuers and still retains a significant professional negligence practice. He has recently settled two multi-million pound share sale warranty claims at mediation, acting in one case for the corporate purchaser and in the other for the individual vendors. Acting for trustees in bankruptcy, Stephen settled 2 claims (one 3 days into a 14 day trial) for beneficial interests in substantial property portfolios. These dated back in one case over 50 years, involving fictitious parties, purported partnerships fraudulent conveyances, impersonation, nominees and tax evasion as well as complex family relationships. In both cases the client recovered significantly more than it was prepared to accept at mediation. Acted for three individuals who sold their family business. The purchaser, an American multinational, abused an interim process under the share purchase agreement. They referred, without warning, a warranty claim to an Independent QC, for a view on merits and quantum with the intention of withholding payment of £2 million. The reference had taken 6 months and £100,000 to prepare. Under the terms of the share purchase agreement, the clients had 10 working days to respond. Stephen put together and co-ordinated a team involving Leading and Junior counsel, forensic accountants and an internationally renowned expert to respond to claims involving accountancy standards, copyright licence arrangements and royalties and accusations of criminal conduct. He made the submission at 2am on the morning of the 10am deadline. The Independent QC accepted our submissions on each of the three areas of warranty claim and concluded “for the reasons I have set out [ ] has failed to establish, on the balance of probabilities, any of the Warranty Claims. The QC opined amount is therefore zero”. Payment of £2 million was made 48 hours later. Acting for the landowner in relation to a defective option agreement which the property developer claims allows it to buy the land at a significantly deflated price. Stephen is also advising on the anticipated subsequent negligence claim against the solicitors who initially advised on the option agreement. Acted for a plc to recover monies shortcharged to a customer and hidden in other accounting records by a long term accounts department employee. The case was settled on terms that the company pension fund reimbursed the company for the loss. Settled at mediation a multi-million pound warranty claim for a corporate client, who discovered many of the key customers had started to withdraw their business from the target before it was acquired. The client retained the final consideration and recovered much of the price it had paid. Amongst other things, Stephen is currently acting for major quarry operators in cases which could result in the demolition of railway tunnels and/or the diversion of railway lines. Stephen was asked for a 2nd opinion on an agricultural/minerals dispute about the ability of the landowner to work severed minerals on land subject to an agricultural tenancy. He advised a much more robust approach which resulted in the minerals being worked within weeks rather than months and prevented the client defaulting on its supply contracts. The client then won the subsequent arbitration and all of its business has now been moved to Freeths.